Hofmann Megalign 4 Laser System - Trolley or Wall mounted versions available. Is a well proven unit, installed in hundreds of tyre shops and garages throughout the UK, it is a highly profitable and technically valuable tool. Measures individual front and rear toe, rear thrust line, set back and steering wheel position can all be achieved in just a matter of minutes. "Megalign System 4WE Version" £1,565.00 + vat, Cash Price or £7.60 + vat per week, is a Wall mounted Version Laser 4 Wheel Alignment with cablefree operation and wall mounted storage cabinet. "Megalign System 4W Version" £1,785.00 + vat, Cash Price or £8.65 + vat per week, is a Wall mounted Version Laser 4 Wheel Alignment with cablefree operation and wall mounted storage cabinet with illuminated light box head board. 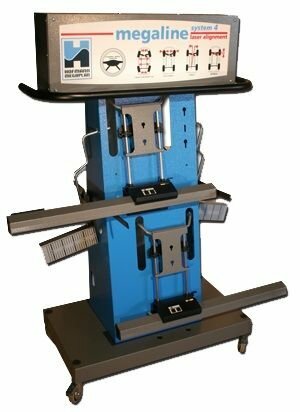 "Megalign System 4T Version" £2,145.00 + vat, Cash Price or £10.40 + vat per week, is a Portable Trolley mounted Version. Laser 4 Wheel Alignment system with cablefree operation Complete in Trolley design with fitted lightbox to promote wheel alignment in your workshop. All the above quoted Lease/Buy figures are based on a 5 Year Lease/Buy scheme. Includes Delivery, set up and on-site training by specialist engineers. The Megalign system is a must for anybody involved in vehicle servicing or the tyre business. The latest design ensures maximum vehicle coverage including rims from 12" to 23". The clever "prism" design of the lasers minimizes costly components within the measurement heads, reliable enough for us to offer a compact mobile version that will run from a 12v supply. Book a demonstration at your premises "Click Here"
What if I havent got a four post wheel alignment lift? 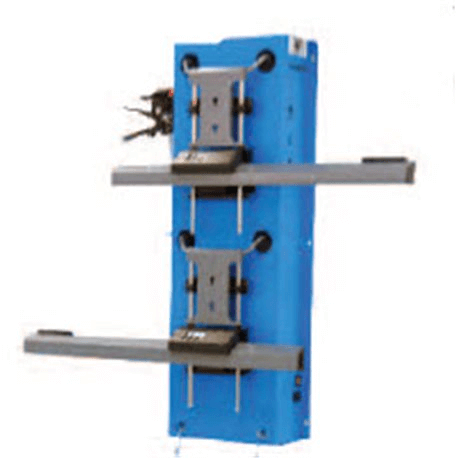 4 Wheel Alignment Stands 3200kgs capacity. 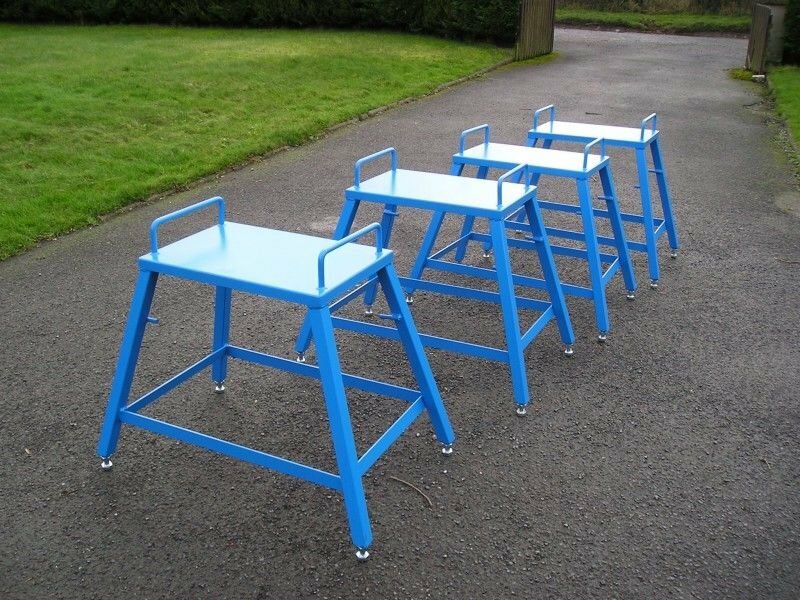 Set of 4 wheel alignment support tables, designed to aid wheel alignment using any two post lift in your workshop. Maximum weight per table must not exceed 800kg. Hofmann Megalign "Pulse 8" Premium HD/3D CCD Aligner with ANPR built in.